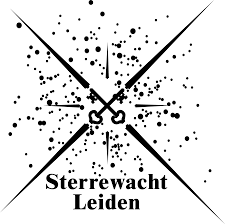 I am an Assistant Professor at Leiden Observatory, Leiden University, in the Netherlands. I study merging galaxy clusters. Galaxy clusters are the largest gravitationally bound objects in the Universe and form through accretion of gas and by mergers with other clusters and galaxy groups. 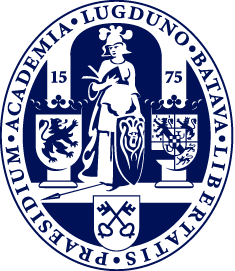 They are unique laboratories to study some of the most fundamental questions in astrophysics, related to the physics of particle acceleration and cosmic rays, the growth of large-scale structure, and the nature of dark matter. I am observing these merging galaxy clusters with large radio telescopes, such as the VLA, GMRT, and LOFAR, and X-ray satellites, such as NASA's Chandra X-ray Observatory. 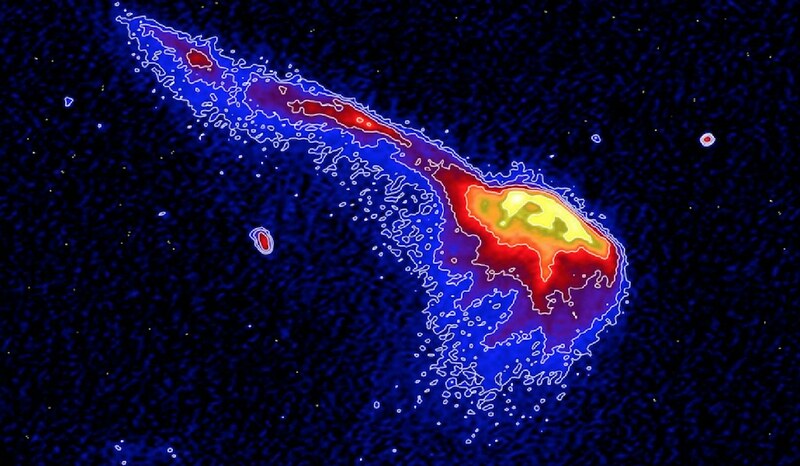 The radio observations provide us with a view of the cosmic ray population in galaxy clusters. These cosmic rays are accelerated by shocks and turbulence induced by cluster merger events. 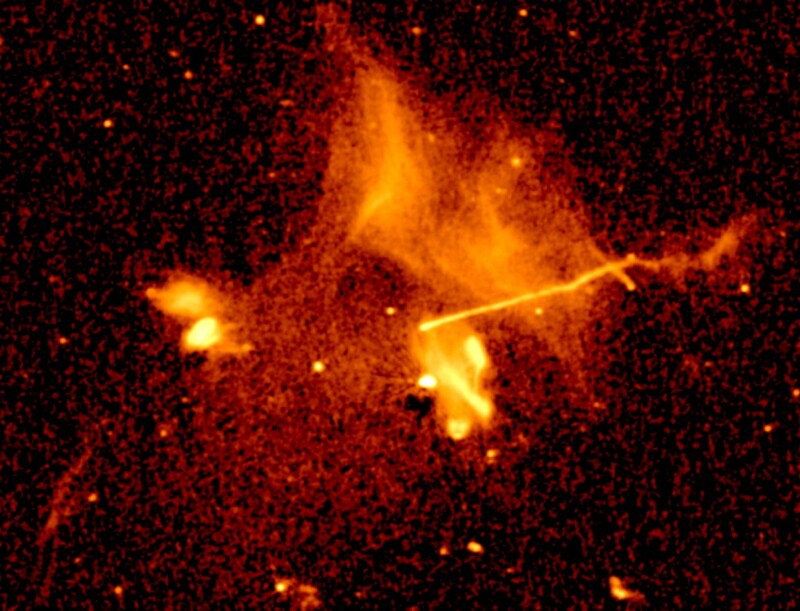 The X-ray observations give a direct view of the hot shock heated gas. 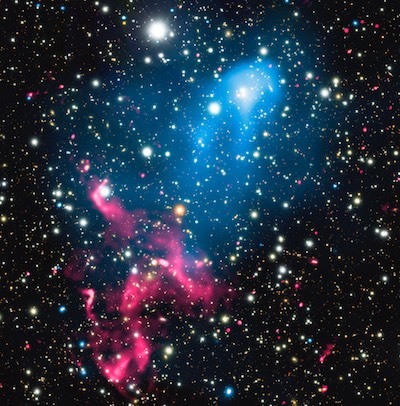 Merging galaxy clusters can also be used to study the self-interaction properties of dark matter, as most of the cluster's mass is in the form of dark matter. Radio observations provide an efficient selection of merging clusters that are suitable for such studies. In addition, massive galaxy clusters are also powerful cosmic telescopes, capable of magnifying distant galaxies, thus providing a probe of the early Universe. Radio observations of these distant lensed galaxies can be used to study their star formation. Our paper describing the discovery of particle re-acceleration in a merging galaxy cluster has been published in Nature Astronomy. The NASA/CXC press release can be found here. 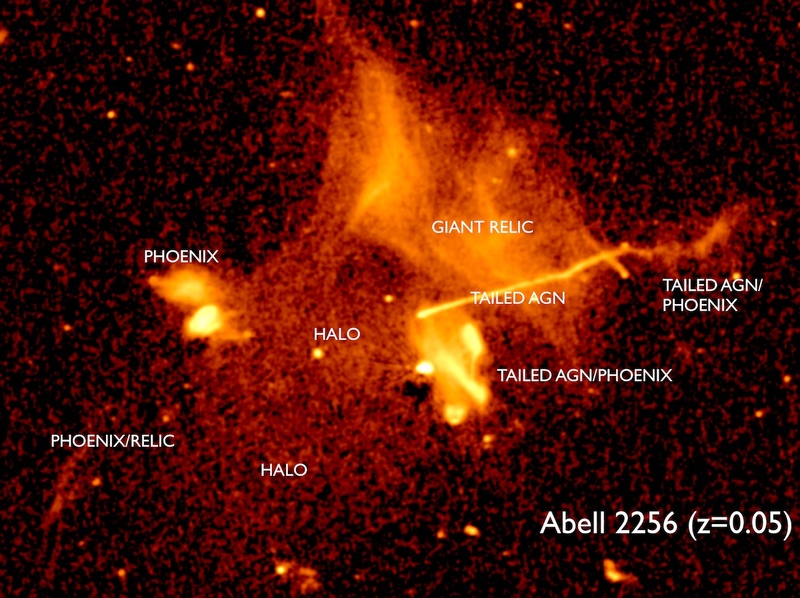 We obtained the first deep LOFAR HBA image of the galaxy cluster Abell 2256. This images was made with the facet calibration technique. Radio continuum emission at 120-180 MHz of Abell 2256. The resolution is 5 arcsec and the image has a noise about 0.1 mJy/beam (annotated version). A new calibration technique (named facet calibration) was developed to produce deep high-resolution LOFAR images. The first image made with this technique shows the 'Toothbrush' radio relic. This image is about an order of magnitude deeper and has 5 times better resolution than the previous image made at this frequency with the GMRT. 120-180 MHz image of the Toothbrush radio relic (resolution is 5 arcsec, noise is 0.1 mJy/beam). Our paper describing the discovery of lensed radio and X-ray sources behind MACSJ0717 has been accepted for publication in ApJ. 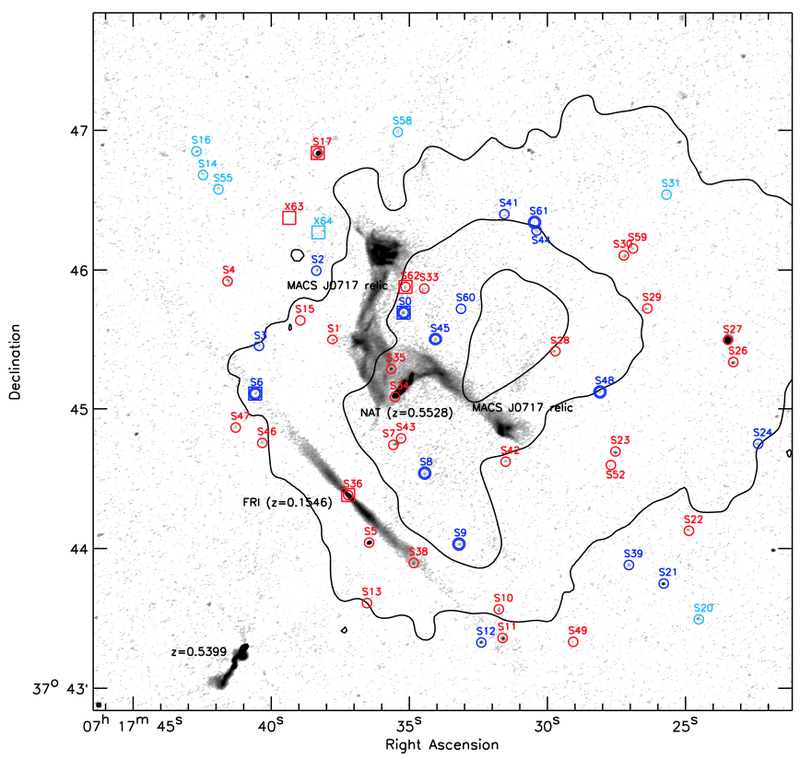 We find that deep radio imaging of lensing clusters can be used to study star forming galaxies at the peak of the cosmic star formation history.